Traveler and fitness fanatic Natalie went on our Jewels of Alpine Europe tour—and stayed healthy during her time away thanks to her wealth of wellness travel tips and ideas. 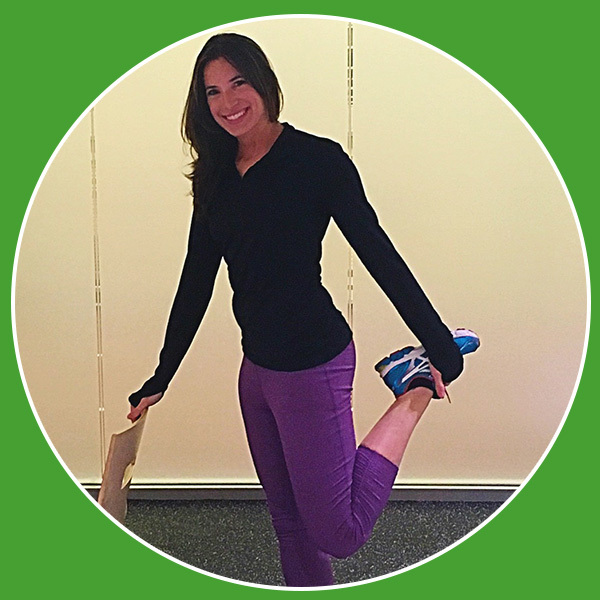 Since travel isn’t always easy on your body, Natalie shares her best stretches for feeling fit while you’re on the road. Look up and then down, holding each position for 10-15 seconds. 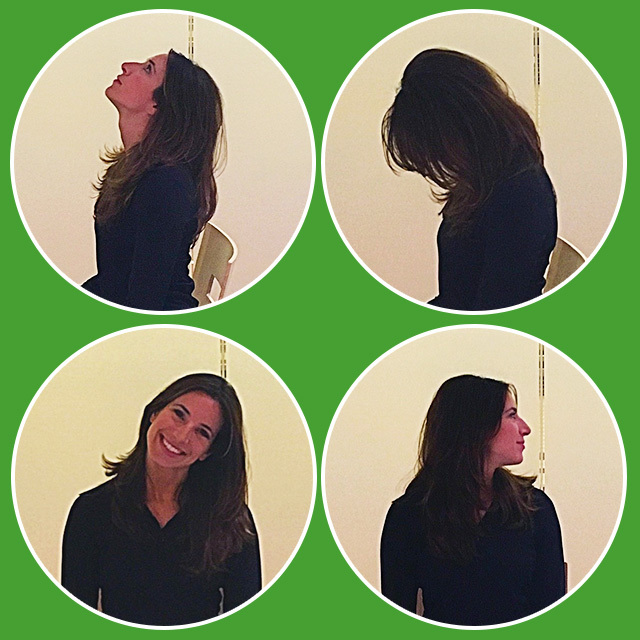 Do the same as you look over your left shoulder and then your right. Exhale as you stretch to go deeper. 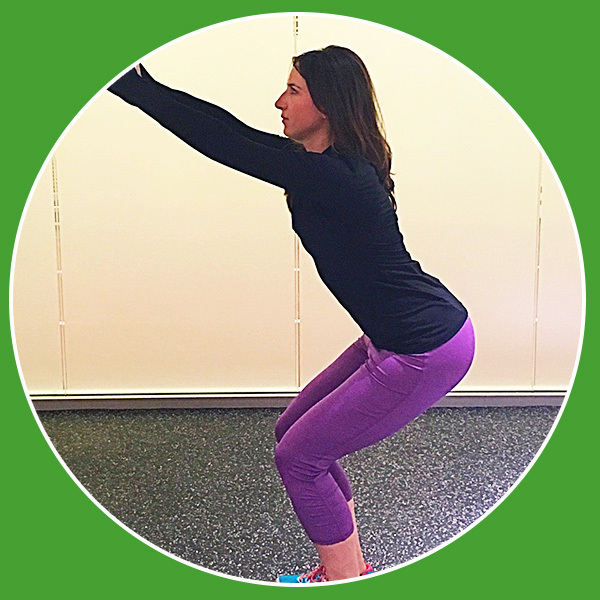 Contract your the muscles from your hips through your legs. Hold for 10-15 seconds, release and repeat. Grasp your hands together with straight arms overhead. Lean to the left and hold as you feel your back and right side of your abs stretch. Repeat on the other side. Raise and hold your right knee as you rotate your right ankle in a clockwise motion five times before rotating it counterclockwise five times. Repeat with the left ankle. 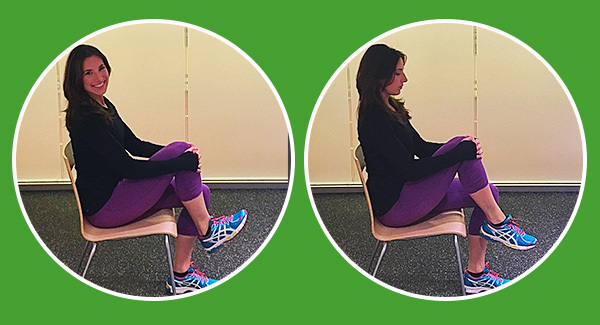 Hold on to the back of a chair as you bend at 90 degrees from your hips. Keep your ankles under your hips and hold for 10-15 seconds. 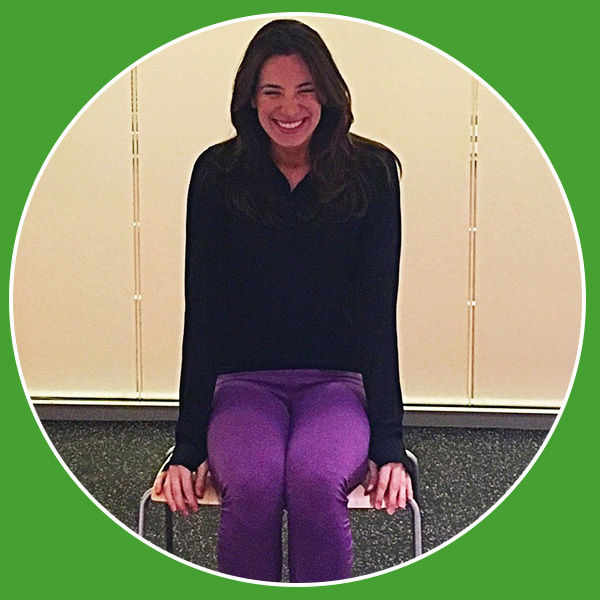 From a standing position, bring your feet hip-width apart and “sit” into an imaginary chair. Keep your back straight and reach your fingertips towards the ceiling, keeping your gaze past your fingers. Hold as long as you’re able. Hold on to the back of a chair or another sturdy piece of furniture with your left hand. With your right hand, reach back and grab your right ankle or lower leg. Hold for 10-15 seconds. Repeat on the other side. 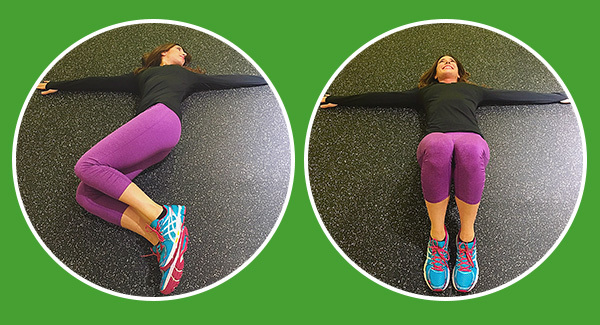 Lay on the floor or bed with your arms straight out like a T. Bend both knees and let them fall to the left, keeping your upper body as flat on the floor as you can. Look toward the right to deepen the stretch. Hold 10-15 seconds, and repeat on the other side. Do you have any recommendations for staying healthy while traveling? Share them with us in the comments below!